Can you advise if I can edit the worksheet prior to preparing to print. I think I have done it previously but cannot find a solution. Yes: instead of the direct export/download option, you can use Report Options (in Goalscape Desktop this is under File > Report Options) to 'pre-edit' your report to deselect any unwanted fields. You can also restrict the report to only a few levels of subgoals (see screenshot); and, if you are using Focus View, you can export only the area of your project that is in that Focus View. 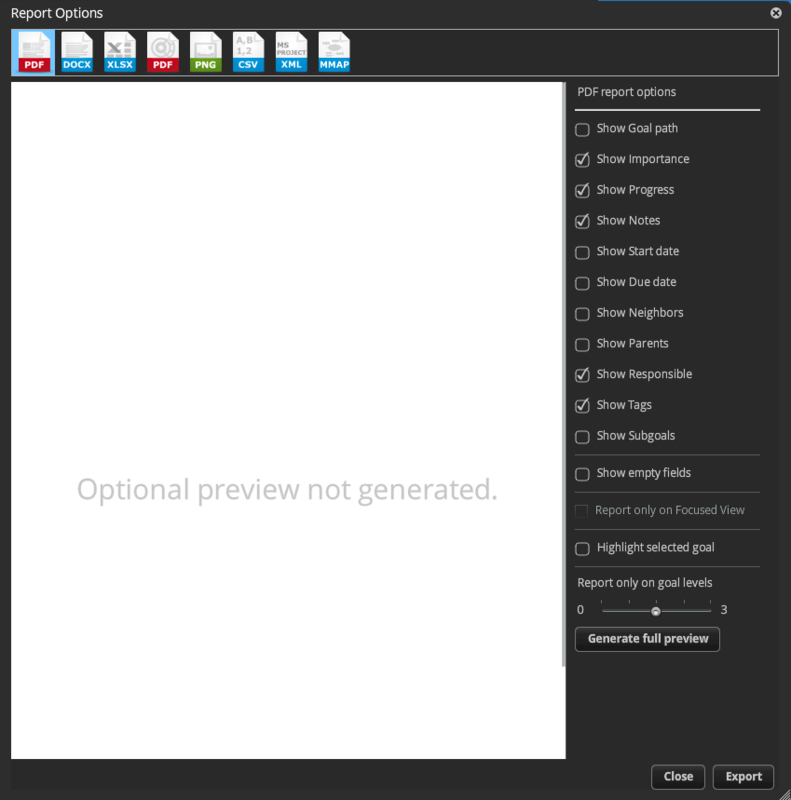 When you have made your selections you can use 'Generate full preview' to have an idea of the size of the report (and how long the export might take).